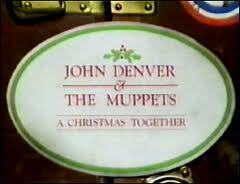 I suppose even the Muppets can have an less-than-stellar special. This is far from terrible, but not actually all that good either. Really, the big problem is there aren't enough Muppets. Whenever the Muppets are on screen, the energy picks up, the jokes are actually funny, and the acting improves. When the camera is focused on John Denver and legions of bland back-up dancers, it's dull as dirt. Now I generally like John Denver, or at least don't dislike him. But here he's incapable of acting like a human being, and he looks sort of like a robot. Plus he keeps adding boring religious stuff in between scenes of Muppets being sweet. Also this isn't particularly well directed or well shot. Or even well structured: this special flirts with the idea of having a plot, but ultimately abandons it for ill-thought out musical numbers. It's not all bad: Rowlf and Kermit both get in pretty songs, the opening Twelve Days of Christmas is classic, and Miss Piggy gets in some surprisingly ribald Bible jokes. But then there's a lengthy Nativity sequence in which the puppets are nice, but it's ultimately not interesting to watch. It's a shame, because I really like the record that the special is based on, but aside from a few good scenes, there's not a ton to enjoy here. But why am I still talking? You should be reading the hilarious write up by the folks at Tough Pigs. They'll give you all the info. For some better Muppet Holiday Cheer, check out Muppet Family Christmas or It's a Very Merry Muppet Christmas Movie!